CUSABIO has a sound platform for the development of ELISA kit, mature antigen-antibody research and development system. We are proficient in a variety of ELISA technologies, such as the double-antibody sandwich method, double antigen sandwich method, (direct) competition ELISA, indirect competition ELISA, blocking method, indirect ELISA and other methods. Combined with diagnostic kits development team, we are able to develop the kits with clinical diagnostic level, and make the quality in the leading place worldwide. 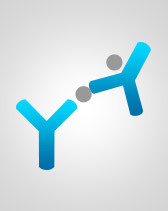 Cusabio now offers a broad range of ELISA kits covering over 9,000 different assay targets.